In and around Asheville, North Carolina, people look to Bull & Reinhardt for help in all their personal legal needs. We assist with legal matters as diverse as divorce, DWI, drug charges, personal injury compensation and general business law. Family lawyers Adam W. Bull and Christopher Reinhardt seek the best results for clients. Some firms may charge less, but none outdo us for commitment to your success. We have made divorce easier for hundreds, with positive outcomes in family law areas such as custody cases and property division tailored to each individual. In addition to family law, we assist with criminal defense, protecting clients, who may have made a mistake, from having that mistake ruin their lives. We are adept at every criminal defense area: DWI, drug crimes, assault and domestic assault, and property crimes like shoplifting. Our business clients know they can turn to us for help with formation, contracts, real estate problems and the resolution of such issues as partnership breakups. It is never our goal to go to trial, looking for more affordable solutions first. When going to court is the best way to achieve your objectives, we will go there seeking the best possible outcome for you. Our personal injury practice is skilled in obtaining maximum compensation for injuries caused by car accidents, truck accidents, motorcycle accidents and more. We recognize when you contact us that you have a problem. Our goal and philosophy is to identify the problem which brings you to us, explain how the law applies to your situation and then, taking your goals into consideration, plot the easiest course to resolution of your matter. We completely recognize that as clients you are looking for the best outcome of your issue, not the most expensive. If we have to contest your matter in court we are comfortable there, but if we can resolve your matter out of court this is often a better, less expensive approach. 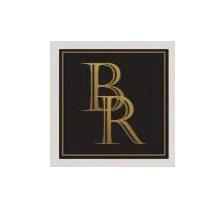 Bull & Reinhardt, PLLC, is a full-service law firm serving the people of Asheville and WNC. We invite you to call our attorneys today!